At Plastec we pride ourselves on our near invisible finishes to damaged or cracked bath tubs and shower trays. If your brand new shower tray has a hammer dropped into it and a big crack appears, we can generally repair the tray without even removing it. The cost or repair is a fraction of the removal and replacement value. 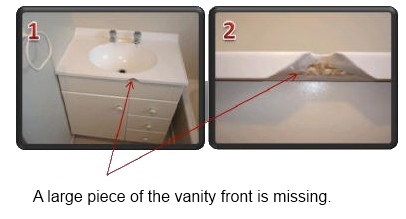 We also repair vanities and bathroom units.